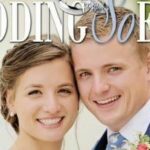 Find the perfect Wedding Jewelry & Bridal Gifts for your wedding day at one of these Utah Wedding Jewelry / Bridal Gifts Vendors! 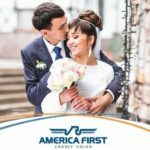 As you begin a new life together full of firsts, be sure to start with America First. Wedding Savings Accounts, Home, Auto, Visa, Investments. 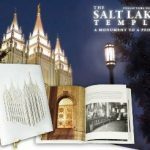 A milestone in publishing, The Salt Lake Temple: A Monument To A People is the first comprehensive and authoritative text about the Salt Lake Temple. This beautiful book will help you and your family celebrate your wedding for years to come! Abazias Diamonds (Stock Symbol: ABZA) offers more than 150,000 diamonds at the guaranteed best price online. 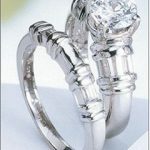 Choose from a wide variety of diamond jewelry, fashion jewelry, bridal jewelry, watches, and accessories for any occasion. Abazias allows customers to build their own custom engagement ring. Start your life together in a home of your own with the Home ownership Bridal Registry. The down payment you receive from family and friends is a gift that will last a lifetime. CARICO -The choice of brides around the world for Cutlery, Fine China, Tableware, Crystal, Cookware and more! 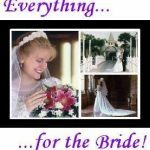 Vinesofjewels.com is a bridal jewelry web store with a beautiful selection for the bride, bridesmaids, mothers, grandmothers and flower girls. Our jewelry choices are also perfect for any special occasion and the Prom! Jewelry is the perfect bridesmaid gift. Each piece of jewelry is sent to you in a cotton filled jewelry box ready for wrapping. Offering sterling silver, vermeil, fresh water pearls, CZs and fashion jewelry. We have all price ranges.